Robots don’t have to be complex and hard to design in order to impress, delight, and inspire people. Sometimes very simple motor/linkage designs can trigger a smile, a laugh, or even a purchase. 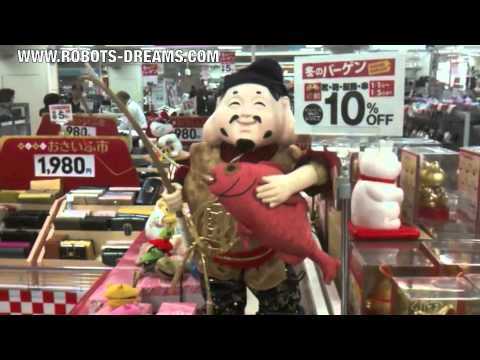 These small animated Japanese toys are sold during the New Years celebrations every year. For more information visit Robots Dreams at http://www.robots-dreams.com.